Astrodyne's EMI filters are used for life-saving equipment! » HHP Associates, Inc.
Astrodyne’s EMI filters are used for life-saving equipment! 02 Jul Astrodyne’s EMI filters are used for life-saving equipment! 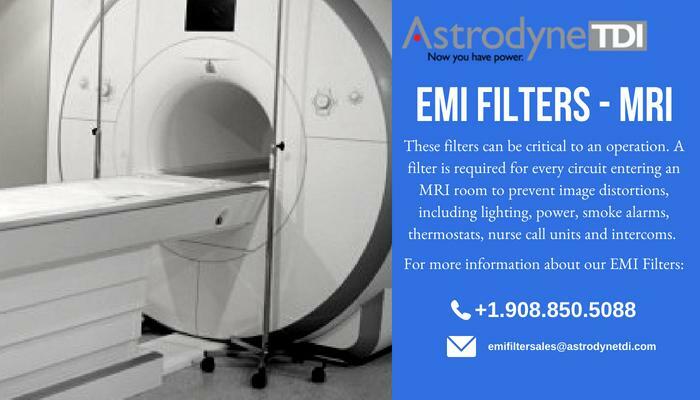 Astrodyne TDI develops EMI filters that are used in life saving medical equipment, serving the stringent needs of critical applications. Astrodyne’s EMI/EMC/ RFI Filter capabilities help your products meet all their requirements and achieve “Mission Success” in the ultimate application. They are a uniquely integrated company for advanced design, engineering, manufacturing, testing and technical support offering a complete selection of power line filters. Standardized as well as customer-specific solutions – with full engineering support – help their customers meet international compliance standards and improve the immunity and safety of electrical and electronic equipment.